The Internet of Things or Machine to Machine networks (M2M) use a variety of wireless and wired technologies to interconnect sensors and machines to control systems. DyCom’s “Connecting Machines” portfolio uses IP wireless technologies to connect sensors and machines to networks. This allows organisations to use a single IP network to support not only their corporate voice, data and video networks but also other typically separate systems such as building management, CCTV, alarm, internal two way radio and video distribution. 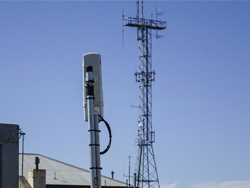 Our mesh and point to multipoint (PtMP) radio systems allow the rapid and cost effective deployment of IP based wireless devices IP capable devices and the secure connectivity to the organisation. 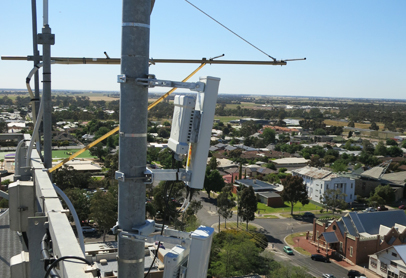 Class Licensed point to multipoint point radio systems operate in the 5.4 Ghz and 5.8 Ghz. Organisations can deploy them without the requirement of a license thus reducing the system’s operating costs. However systems operations have to comply with the ACMA regulations in terms of power and channel bandwidth. Wireless Mesh solutions operate in the 5.8 Ghz Wi-Fi spectrum. 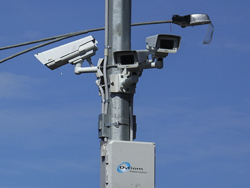 They can be used indoor or outdoor to connect devices such as CCTV cameras, environmental sensors and other machines. The Ruckus Wireless Smart Mesh provides an advanced routing system with the ability of providing an adaptive, reliable, high speed mesh between its different radios.